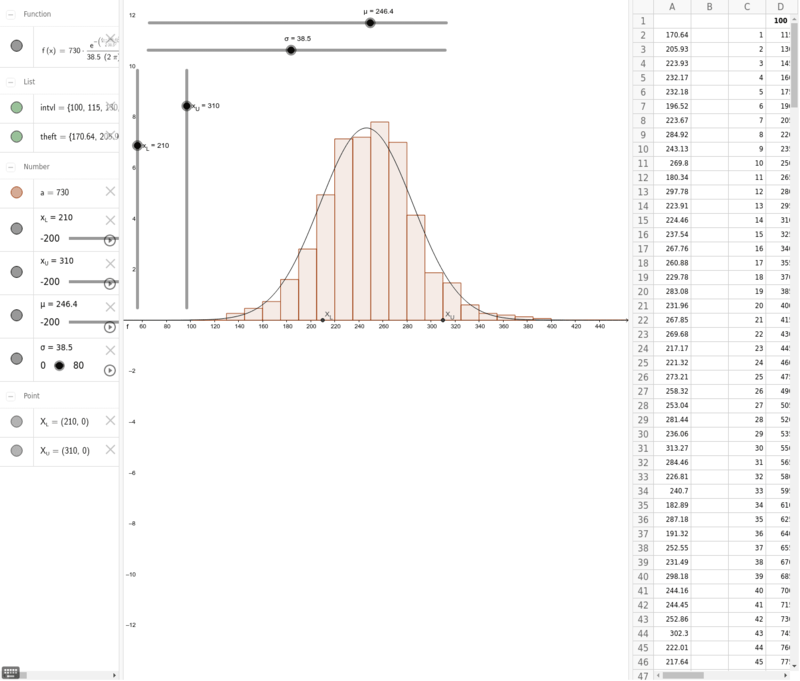 Using a spreadsheet to interact with the function for the normal distribution. Sliders are as follows: At the top of the creen are sliders for the mean and standard deviation which control the normal function shown on the screen. The vertical sliders control the upper and lower bounds for a calculation. At present the applet is set up to give an expected value, rather than a probability value from the integration.